The Barn Swallows Already Have Babies! Home / The Barn Swallows Already Have Babies! You may remember a post a few days ago showing a Barn Swallow sitting on it’s nest inside a disused Well. 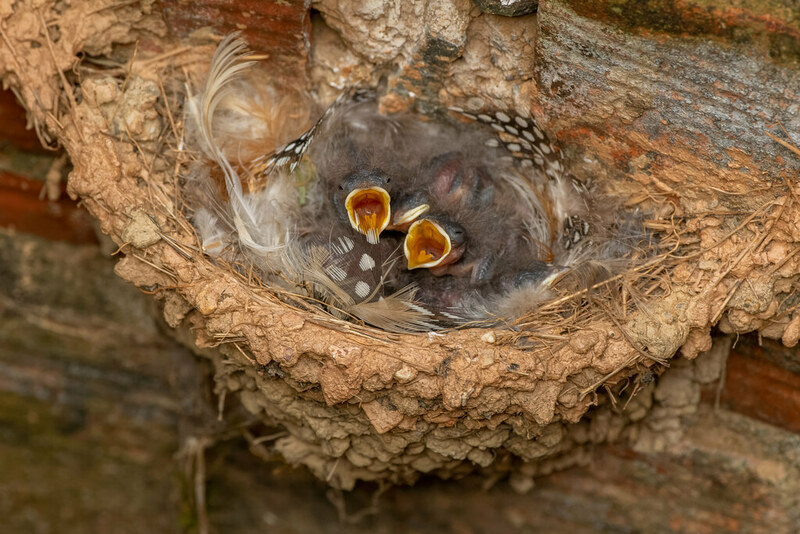 Just to reiterate, I am able to view this nest without disturbing them or the adults. Please don’t approach any nest that is in danger of being disturbed! This morning I took a look and there are 3 hungry babies in there. The adults are busy feeding them and also occasionally sitting on them to keep them warm. Here is a shot I grabbed this morning, in case you are wondering the middle one is perfectly fine and alive!